But here we go! Feel free to point out the books you read and loved and feel like I should absolutely just READ ALREADY. In my defense, I did start reading this in 2017… at the worst possible time, namely in the mid of my reading slump. I’m about a hundred pages in and remember liking it, I just really need to pick it back up. I know I’ll love this series. It’s got everything I love. Multiple fellow book bloggers I trust rave about this series. I just need to start! I have no excuse. This is terrible. I promise I’ll get to it before the movie comes out! It’s been on my posts-of-shame for years. I’ll get to it. Someday. And I’m sure I’ll love it. How did this happen? I don’t even know. I blame the 2017 reading slump. And maybe also an overdose of ‘mates’ and ‘feasting’… But it’s also Chaol and I love him. It’s on my kindle. I just need to… you know… start it. What happened in book one again? It’s the end of an era and maybe I’ve been procrastinating this one because I’m afraid of what can happen. Or maybe I’m procrastinating because I remember close to nothing about the previous books. Who knows? 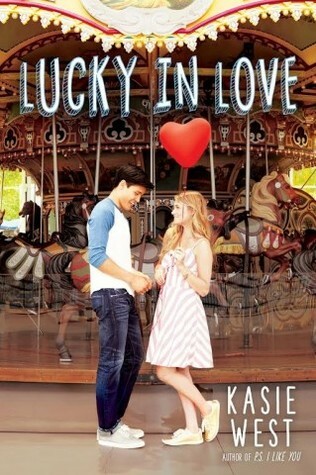 I binge-read every single Kasie West book but haven’t started this one. Keeping it for when I feel a reading slump coming too close for comfort…. I just know I will adore this one to pieces. It’s a 2018 must, ok? 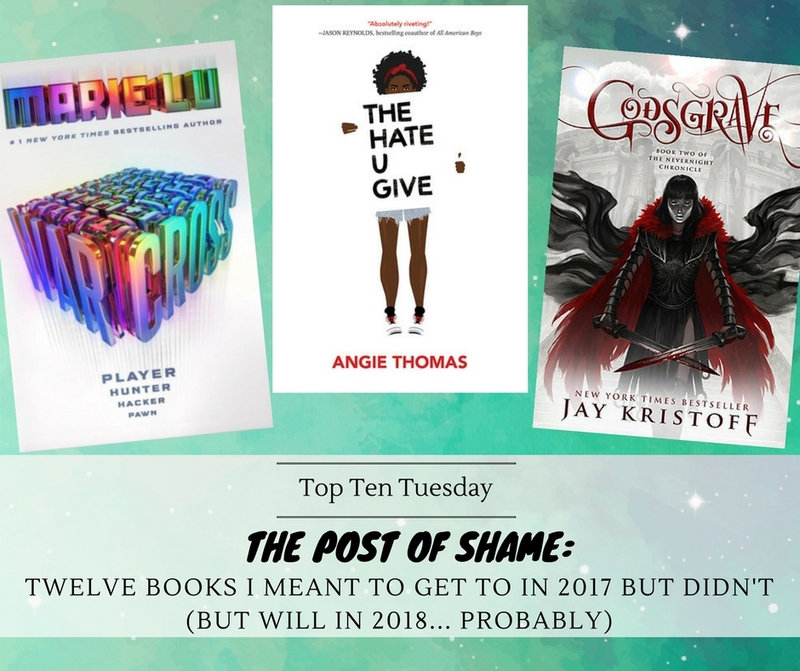 What books did you mean to read in 2017 but didn’t get to? Have you read any of the books on my list and if so, which ones do I need to start right now? 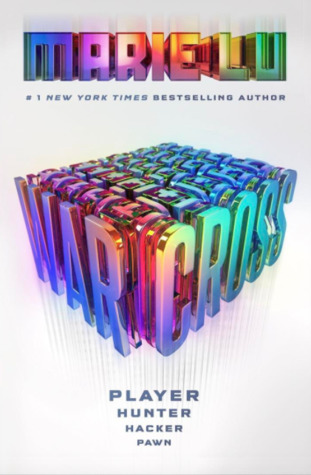 Warcross is pretty awesome, and I need to read the Tintera series as well. I heard so many great things about Warcross, I hope to get to it soon 🙂 And hope we’ll both enjoy the Tintera series! I really need to read the 2nd and 3rd Lara Jean books. I loved the first one so much and need a little sweetness in my life. IDK how you SJM fans keep up with all her giant books. I give you props that you are all the way caught up that you only need to read the newest book. Yes, I’m definitely saving the Lara Jean books for those days I need that sweetness as well! A big yes to Hate U Give. What a voice that author has. So I`m not the only one that has not read The Hate U Give yet, good. I`m 99% sure I`ll enjoy it, so I have no idea why I haven`t picked it up yet. 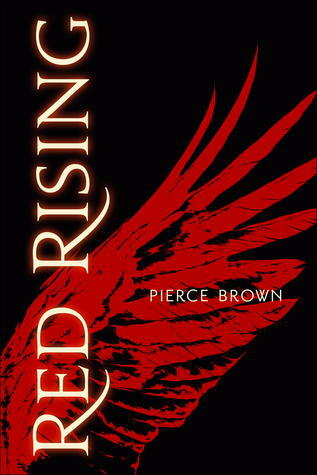 Red Rising is on my list for this year – I just know that so many other bloggers have loved it, so I’m hoping it will be amazing! Written in Red. Come on now! 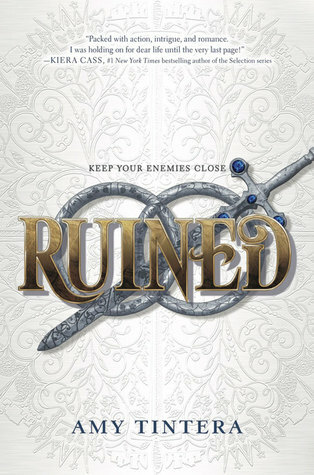 Ruined was pretty good though different from what I was expecting. Hope you will get to these in 2018. THUG is definitely worth a read! 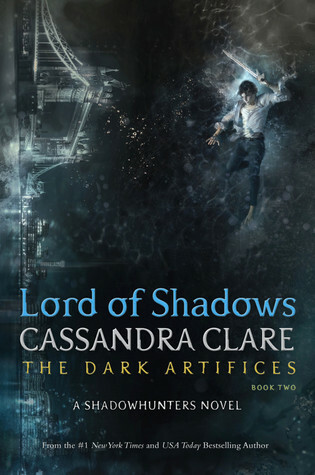 Honestly at this point I wish I hadn’t read Lord Of Shadows like IMMEDIATELY after it came out because the waiting is the WORST. I hope you get back into Red Rising though, especially since the new one is coming out and I like when we all yell about the same book at the same time! I’m also gonna have to add some of these to my TBR this year!!! Haha it is a list of shame indeed 😉 But glad to hear we’re not alone! I have Wonder Woman: Warbringer on my list! And there are few on your list that are on my TBR (Lara Jean, Lucky In Love ) that I am also hoping to get to in 2018. I have read Warcross (it is so good) and THUG which is amazing and probably my favorite book of 2017. The audiobook was amazing and I would highly recommend the audiobook if you listen to those. Ah both Warcross and THUG are for sure on my top priority list! 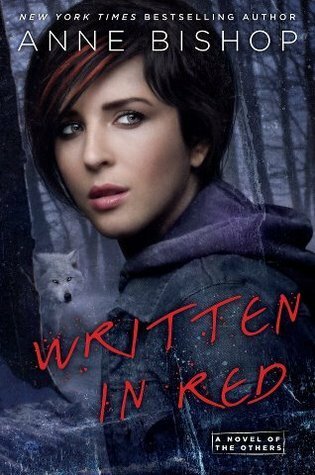 Written is Blood is amazing! I love this series by Anne Bishop. I hope you love it as well – I confess that there were a few times I wanted to slap the MC, but in the end I warmed up to her and the world building is incredible! I wanted to read Wonder Woman: Warbringer, The Hate U Give and Always and Forever, Lara Jean last year too, but, sadly, I just didn’t find the time (too many books, so little time). 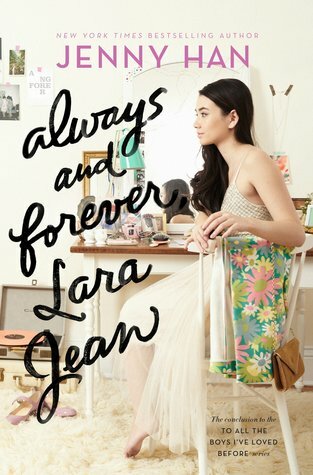 However, I started reading the Lara Jean’s last adventure today – I think I was also a bit afraid of picking this one up because, as you mention, is the end of an era. I hope it doesn’t disappoint. I;m another one that says that The Hate You Give is a must read. It made me think and is an impressive book debut by the author! I really loved THUG and Warcross! 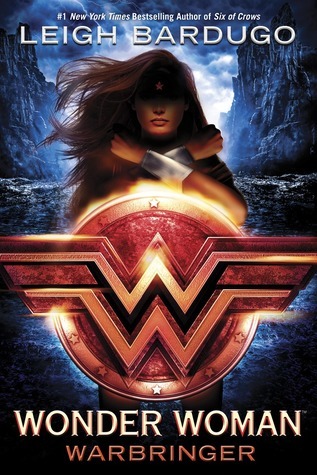 I read Wonder Woman: Warbringer as well and liked it, but didn’t necessarily loved it. Curious to see what Batman: Nightwalker will bring me, to be honest. Especially since the reviews on that one have been on the meh-side as far as I’ve seen. Definitely some on here that I have yet to get my hands on! 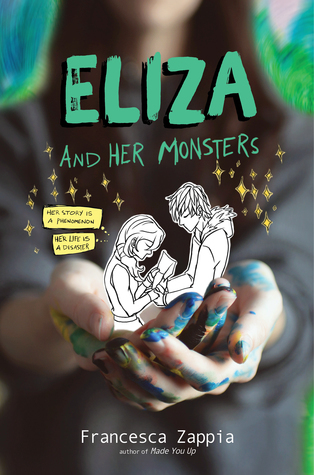 Eliza and her Monsters is probably the main one since that one’s rec’d to me all the time and I still haven’t bought it, haha. I’ve heard amazing things about the Red Rising-books and Nevernight-books. 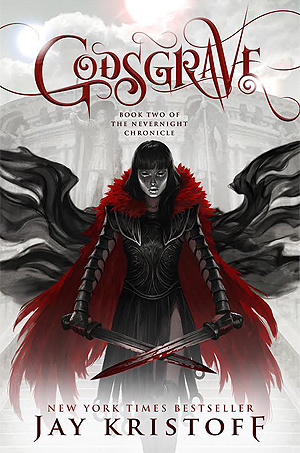 Have yet to get my hands on the first; but I do own a copy of Nevernight so I’m hoping to read that one this year! 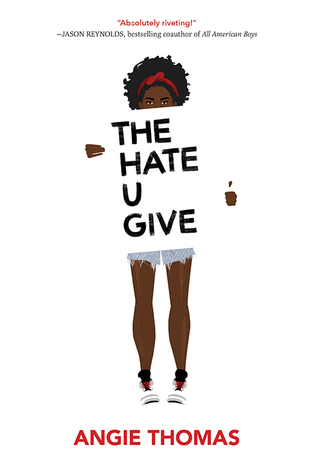 AHHHHH YOU’VE GOTTA READ THE HATE U GIVE IT’S INCREDIBLE!! 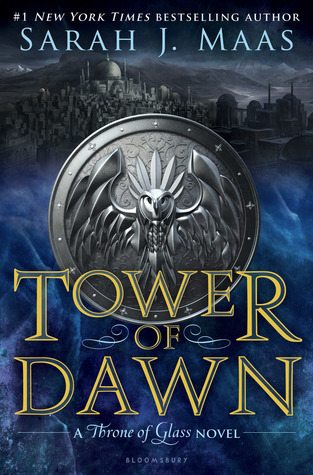 I really need to get to Godsgrave too and Red Rising. Warcross and Wonder Woman should hopefully be good too!! Ah I heard so many good things about THUG, I’m sure I’ll love it!!! Thanks so much for the recent Finding Wonderland visit! I’m so hoping to get to Lucky in Love soon! I love Kasie West so I’m sure this will be no exception 🙂 Glad to hear you loved Warcross too! And hope you’ll get to Jenny Han’s books and of course that you’ll love them!